DDD believes talent has no boundaries--and opportunities shouldn’t either. In 2001, we saw the need to bring tech skills and living-wage work to men and women in underserved communities in Asia. It was here that DDD helped plant the seed for a socially responsible outsourcing practice known as impact sourcing. 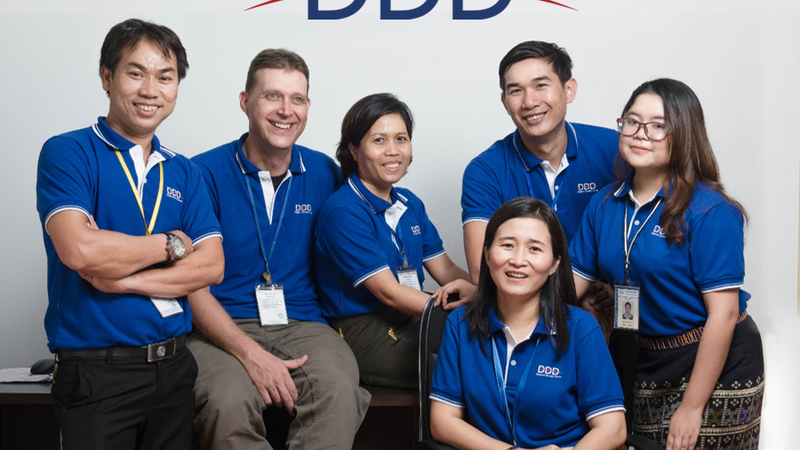 From this early work, DDD built a proven work-study methodology to train, support and employ talented individuals around the world, and thereby provide high quality, competitively priced ITO/BPO services to customers. In 2011, DDD opened operations in Nairobi, Kenya where we would launch the AWS Cloud Center of Excellence to teach and certify in next generation IT skills. And in 2014, recognizing the vast problem of veteran unemployment, we launched our U.S. operation Liberty Source to train and hire veterans and military spouses. Today, DDD continues to thrive and work towards a world where everyone—regardless of location or background—has the opportunity to reach their full potential. Since 2001, DDD’s program has increased lifetime earning for youth in Cambodia, Laos and Kenya by a projected total of more than US$350 million. Our ability to connect underserved communities to learning and employment opportunities has impacted more than 3,000 individuals, their families and their communities around the world. Our programs are built on a solid financial and business model, which delivers tangible business benefits to our clients, and provides a strong social return on investment for clients, donors and investors. Our technology and employment programs continually evolve to keep pace in an ever-changing sourcing industry and range from 3D digital archiving to handwriting transcription to AWS cloud solutions. Our model and solutions are trusted by Fortune 500 companies and the world’s leading academic and cultural institutions. Our solutions innovation is recognized by industry influencers.